Next Issue Canada, the two-year-old Rogers Media all-you-want magazine subscription service, is being rebranded and repositioned as Texture starting Thursday. According to a story in the Globe and Mail, Rogers is following the lead of its U.S. partners, a consortium of publishers including Condé Nast Publications Inc., Hearst Corp., New York-based private equity firm Kohlberg Kravis Roberts & Co., Meredith Corp., News Corp. and Time Inc. The consortium presents Texture as "a completely reimagined magazine experience." It moves the service -- which has more than 100,000 subscribers and has enjoyed a bigger relative uptake than in the U.S. -- from its positioning to date as an electronic simulation of a traditional "magazine stand". It puts the emphasis more on digital content and the way readers make use of it -- much different than from being a "flip book" or pdf online version of the traditional Rogers publications as well as more than 100 U.S. titles. Reader's Digest Association has dropped the name of its most famous publication to become Trusted Media Brands Inc., a title that the company feels better reflects the business it's in and its future. A story in AdAge reports that the idea is to battle the common assumption that this is principally a one-title publishers when, in fact, things have changed dramatically in the last few years in the privately held company has relied more on publishing a wide range of titles and sites such as Taste of Home, Country Woman, Birds & Blooms, Taste and The Family Handyman. "It's not at all about distancing us from Reader's Digest," said [Bonnie] Kintzer [CEO]. "It's about having a name of a company that actually states who you are. At the end of the day, 99% of people will think that the one brand Reader's Digest Association has is Reader's Digest." Today there are 52 websites at the company, which says unique monthly visits have grown 70% over the past 24 months. Mobile uniques are also up 186%, according to the company. Its properties as a whole draw 53 million uniques, have 40 million social media fans and 40 million print readers, according to the company. In addition, there's little overlap -- around 3% or 4% -- between print and online readers, the company says. The U.S. paid-and-verified circulation of RDA titles averaged 8.9 million and Reader's Digest itself averaged 2.7 million in the first 6 months of the year, according to data released by the Alliance for Audited Media. The English Canadian edition of Reader's Digest reports an average issue audience (print and online) of 3,909,000; the French edition Sélection du Reader's Digest 647,000, according to the spring release of Print Measurement Bureau data. At one point in the mid-1970s RD had a circulation of 17 million, second only to TV Guide as the most-read publication. Canadian Business Media has announced that it is partnering with the U.S.-based ABM (The Association of Business Information and Media Companies, a division of SIIA), In a release, it said that its business-to-business professional members will now (at the member rate) have access to all ABM events and conferences, regional training sessions, ABM research studies and report and the two organizations will collaborate on networking programs in the Toronto area. “We are proud to join forces with SIIA\ABM, and in doing so work towards our goal to build a stronger B2B publishing community. With this strategic partnership, Canadian publishers will gain access to invaluable inside knowledge and resources aimed at helping them prosper and ensure the perennity of their success,” said John Kerr, CBM Chair and CEO of Kerrwil Publications Limited. For more than 60 years, Canadian Business Media (formerly Canadian Business Press) has produced the Kenneth R. Wilson Awards, a recognition program celebrating outstanding achievements in B2B magazine content. Last spring CBM relaunched with the goal of re-entering the field of members services, expanding its offerings of training and networking. The membership of CBM has shrunk significantly in recent years as multi-title b2b members, including Rogers and Annex, chose to join Magazines Canada's business media division instead. TVA Publications has made three key appointments concerning its Toronto operations which were acquired from Transcontinental Media in the spring of 2015. .
Christopher Purcell has been given the added responsibility of general manager, Toronto, in addition to his work as vice-president marketing and circulation, under which falls responsibility for 27 French and English language print and digital magazines including leading brands such as Canadian Living, Coup de Pouce, Elle Canada, Moi & Cie, Style at Home, Clin d'Oeil, Les Idees De Ma Maison, Chez Soi, 7 Jours and The Hockey News. Sandra Martin, the editor in chief of Canadian Living since last November has been promoted to be group publisher of all Anglophone brands at TVA, including Canadian Living, Elle Canada, Style at Home, Canadian Gardening and The Hockey News. Sarah Châtelain, the marketing director in Toronto since 2014 will now be director of marketing, communications and events in Toronto and Montreal. With a little over two weeks until the big international global magazine media conference, the FIPP World Congress, it is shaping up to be a very big deal. The Congress runs October 13 - 15 at the Sheraton Centre Toronto Hotel, hosted by Magazines Canada.It is the first time the event has been held in Canada and puts a spotlight on Canada's magazines and their creators. There are a number of high-profile speakers. Read more about the schedule and program. So far, there are 218 international companies reported to be sending delegates, many from mega-publishers such as Axel Springer of Germany, Bonnier Publications of Denmark, Future Publishing from Britain, Hearst and Rodale International and Time Inc. from the United States, plus 43 Canadian companies such as TC Media, Canada Wide Media and Rogers. TC Media Business Solutions Group is now offering Quebec advertisers a turnkey menu of ways of reaching Quebec business and finance audiences with marketing and digital strategies applied across various financial platforms: Les Affaires, Finance et Investissement and Investment Executive. “We are very proud to be launching a new line of services that highlights the talent and expertise of our people, while also giving our customers the opportunity to raise awareness of their brands and increase their visibility with a high-quality audience,” said Sylvain Bédard, vice president, business solutions at TC Media, and publisher of Les Affaires Group said in a release. Or (for advertisers who want total control) to draw on the skills of the specialized team to produce promotional content about the advertiser’s products and services, distributed on the advertiser’s own channels, or as “partner content” in business solutions properties. "If the industry doesn't change its ways, rest assured, the cost of advertising will climb inexorably, for brands and all that support them. Scalable ads will have to be replaced by more handcrafted native ads. Extortion payments to blockers will become routine, as retail slotting fees have become routine in the consumer goods industry. Ad-block profiteers and publishers will engage in an endless technology arms race. The internet may survive as a mass communication tool, but it'll look much different, even perhaps post-apocalyptic." -- Randall Rothenberg, president and CEO of the Interactive Advertising Bureau, writing in Advertising Age about ad blocking as the latest crisis. The volunteer board of directors says despite efforts to reduce costs, including trying to create a targeted sponsorship campaign, it still has insufficient resources to run the competition this year.With the loss of federal funding, the event would have been faced with at least a $25,000 deficit. "Many forces have come together in recent years to inhibit the work of the WMAF," the board said in a mesage. "Among them, as industry budgets continue to tighten, attendance of the Gala Awards has undergone a steady decline, especially among our colleagues outside B.C. "The year’s most critical challenge by far, however, has been the decision by the Canadian Heritage ministry to cease funding any and all “initiatives to recognize and/or reward” Canadian magazines through the Canadian Periodical Fund (CPF). These federal grants traditionally covered the vast majority of the WMAF’s operating expenses, including the position of Executive Director, which is now vacant." The board is asking its community of interest to respond to a brief survey by September 30 "on how to best continue recognizing excellence and supporting innovation in the Western Canadian magazine industry." The survey questions ask, among other things, about the relative importance of the awards competition and gala compared to other professional development the foundation has run or a range of possible alternatives for the future. Always nice to see new titles and writing outlets launch. This time it is Canthius, a literary journal of feminist writing based in Toronto. The first issue launch is Saturday night September 26, 7 - 9 pm at the Likely General, 389 Roncesvalles. The editors of the journal are Claire Farley,Cira Nickel, and Puneet Dutt. The magazine limits submissions to 3,500 words for fiction and 5 poems for poetry. Contributors aren't paid and, in fact, have to include a $3.50 submission fee to help cover production costs. One of French Canada's most prominent newspapers, La Presse, is ceasing weekday publication, effective January 1. 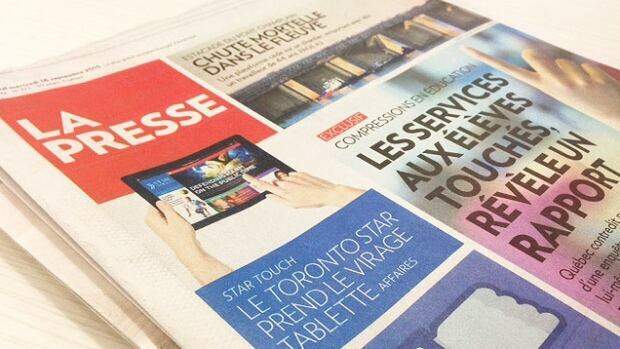 A hard copy version will now only be available weekly, on Saturdays, and readers will otherwise have to rely on its free tablet app La Presse+. "Thirty months after its launch, La Presse+ is now more successful than the print version of La Presse after 131 years of existence," president and editor Crevier said in a news release. La Presse+ currently reaches 460,000 people a week. Case studies in e-newsletter best practices: What industry leaders can teach you, with Kim Pittaway, editorial consultant and magazine teacher at King's College in Halifax. For more details, go to the AMPA website. The full-day fee is $150 for AMPA members and students. Others will be $200. The Magazine Association of BC is reviving its MagsWest conference on November 6 at the VSO School of Music in Vancouver. MagsWest is a one-day conference for magazine staff and contributors, freelancers, bloggers and others interested in publishing and promoting creative content. This is good news after a difficult period for MagsBC during the past couple of years becaus funding problems raised a question whether such professional development could any longer be afforded. Among the sessions on offer is Ian MacKenzie, filmmaker and media activist (Occupy Love, Sacred Economics), presenting Kickstarter or Bust, for anyone who wants to make their idea a reality through crowdfunding. MacKenzie has successfully helped raise over one million dollars through over 40 crowdfunding projects. In this workshop he demystifies the world of crowdfunding and shares the strategies behind some of the most successful campaigns. From Social Media to Social Websites: the Changing Nature of an Online Presence: Phillip Djwa, Agentic Digital Media, Vancouver. 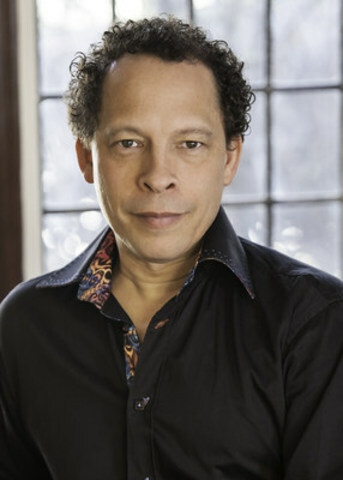 Novelist Lawrence Hill has been selected as this year's recipient of the Governor General's History Award for Popular Media. Known popularly as the Pierre Berton Award, it celebrates those who bring Canadian history to a wide audience through mediums such as publications, film, radio, theatre and the web. He will receive his gold medal from the Right Honourable David Johnston, Governor General of Canada on October 16 at Rideau Hall in Ottawa. "Hill, of Hamilton, is best-known for his historical fiction The Book of Negroes, which has sold more than 700,000 copies, making it one of the most popular books in Canadian publishing history," said a release. "The novel has been translated into French and adapted into a mini-series for television, giving its powerful message an even wider audience. His latest book, The Illegal, was inspired by the survival stories of undocumented refugees around the world, including Canada. "Through his writings, Lawrence Hill has helped Canadians gain a better understanding of our shared history—particularly the Black experience," says Janet Walker, President and CEO of Canada's History Society, which administers the award. "He has done much to popularize Canadian history and provide a voice to those whose stories might otherwise remain untold." In the 20 years since the Pierre Berton Award was created it has been made to such recipients as the CBC series Canada: A People's History, author Charlotte Gray, and actor and filmmaker Paul Gross. Canada's History Society is a national charitable organization whose mission is to promote greater popular interest in Canadian history, principally through its publishing, education, and recognition programs. In addition to administering the Governor General's History Awards and publishing Canada's History magazine (formerly The Beaver) and Kayak: Canada's History Magazine for Kids, it produces a number of educational and online programs to encourage a Canada where people are deeply engaged in connecting with their shared past. The finalists have been announced for the Canadian Online Publishing Awards (COPA). The nominees are in three divisions: Red (consumer); Blue (B2B); and Green (News), in up to 15 categories in each. The winners will be announced November 19 at the Phoenix Concert Theatre, 410 Sherbourne Street, Toronto. Tickets are now on sale. In what seems like both a journalistic coup and playing an important part in bringing issues to the fore, Chatelaine magazine has managed to bag and publish interviews with all four federal leaders. Its particularly useful especially in light of the recent cancellation of the "women's debate". In fact, the focus of the interviews -- conducted over 13 days in August and September -- was fairly wide-ranging and the questions that were asked were quite hard-hitting. You can be the judge about whether the answers came up to the standards of the questions. Advertisers/sponsors in the first issue include Wines of South Africa, Intrepid Travel, Glasgow City Marketing Bureau and Trafalgar/The Travel Corporation. In addition to the magazine, La Carte publishes a newsletter as well as posting to social media. La Carte's next quarterly issue is planned for early December 2015. The theme "Go For Broke" will explore luxury travel, from first-class experiences for pets to haute cuisine on the high seas. Next Monday evening (September 21) Sheridan College is hosting an international panel of type and design experts to talk about where typography has been and where it's going. Panelists will be Matthew Carter, Rod McDonald, Allan Haley and Charles Nix of Monotype. They will discuss the value of the abandoned punch-cutting process for type designers today, who create fonts now using computer-based, digital technology. TypeForming: The Evolution of Typefaces will features both an exhibition and world premiere screening of a digitized and expanded film by the renowned typographer Carl Dair -- the man who designed Cartier, Canada's first Latin typeface for the 1967 centennial. "The film, Carl Dair at Enschedé: The Last Days of Metal Type features a digitized version of the 1957 silent film shot by Dair while studying in Holland with one of the last great European letter punch cutters, Paul Rädisch. It begins with a prologue by noted Canadian type designer Rod McDonald, who in 1998, updated and expanded Dair’s Cartier typeface for digital technology. The film is narrated by Matthew Carter, one of the world’s leading typeface designers who also studied with Rädisch. Carter explains the historic art of punch-cutting and casting in which the hand written letters of scribes were engraved into steel to produce the typefaces used in printing presses. In the interview that follows, Carter reflects on his own time at Enschedé and discusses the dying days of a highly complex and exacting manual technique. Co-produced by Sheridan College and Massey College at the University of Toronto, the film reveals the beauty and skill involved in this obsolete art form and adds to the world’s body of knowledge on making typefaces. The event, co-sponsored by Massey College and Monotype, takes place at Sheridan's Trafalgar Campus, 1430 Trafalgar Road, Oakville, starting at 5 pm. Rupert Murdoch's 21st Century Fox is buying the venerable National Geographic magazine from the National Geographic Society. The not-for-profit Society has been publishing the magazine since 1888. It is to receive $725 million and retain a 27% stake in a new joint venture called National Geographic Partners, set up by Murdoch. It is not the first time the two have made a deal: the National Geographic TV channels have been owned and operated as a joint venture. They will be shifted into the new venture. 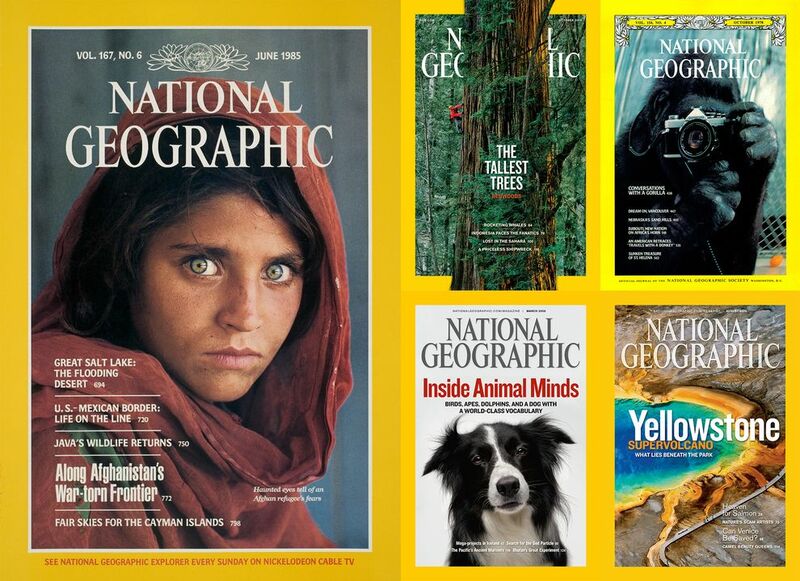 Among the other assets being rolled into the new company, according to a statement, are National Geographic magazines; National Geographic Studios; related digital and social media platforms; books; maps; children’s media; and ancillary activities, including travel, location-based entertainment, archival sales, catalog, licensing and ecommerce businesses. The money from 21st Century Fox tops up the non-profit's endowment to more than $1 billion. The company will be governed by a joint board, with equal membership from NatGeo and 21st Century Fox. National Geographic Society CEO Gary Knell set to be the first chairman. He said the deal will allow more money to be invested in sponsoring explorers and scientists. The additional resources will enable The National Geographic Society to basically double its investment in an array of science, research and education programs, it said. Plans include the creation of the National Geographic Grosvenor Center for Education, dedicated to improving the geographic skills of high school students, and the establishment of Centers of Excellence in Cartography, Journalism and Photography, which will develop and fund innovations in exploration, mapping and story-telling. The National Geographic Museum, thought leader forums, and related programs will remain under the Society’s purview, all with the support of a focused philanthropic development team. Rupert Murdoch made his fortune in newspaper publishing in Australia, Britain and the U.S. and is executive chairman of News Corp. He is also executive chairman of 21st Century Fox , a media and entertainment conglomerate, among whose properties are Fox Broadcasting and FOX Sports. He is infamous for the phone-hacking scandal in Britain which wound up costing him his largest property, News of the World. "The print magazine herd will continue to be culled until what is left will be of great value to both the publishers that are still left standing and to the advertisers who want to reach that kind of specific reader, the reader of printed magazines." U.S. magazine media giant Meredith Corporation (Better Homes & Gardens et al) has announced a $2.4 billion agreement to merge with television and digital media company Media General to create a new company to be known as Meredith Media General, according to a story on MediaPost. The new consolidated company is projected to have annual revenues of $3 billion and will rank as one of the largest publishers and broadcasters in the U.S., as well as holding significant advertising agency and marketing services assets. The company, in addition to being the 3rd largest local television station owner with a combined 88 stations will be a leading "multiplatform" publisher reaching more than 1 million unduplicated American readers and over 60 per cent of millennial women with titles such as Better Homes and Gardens, Allrecipes, Parents and Shape. Digital pubishing platforms reach more than 200 million and digital revenues are expected to exceed $500 million in the first full year of operations. Following the closing, Media General shareholders will own approximately 65 percent and Meredith shareholders will own approximately 35 percent of the fully-diluted shares of Meredith Media General. The company will be managed by a board of eight, including four directors from Media Genereal and four from Meredith. Current Meredith chairman and CEO Stephen M. Lacy will be CEO. The company will be headquartered at Media General's home base in Richmond, Virginia, although corporate and executive officers will remain in Meredith's base in Des Moines, Iowa. Overall, 62% of the British adults surveyed by Teads either didn’t know that roughly half of newspaper revenues come from advertising in the UK, or greatly underestimated the proportion of total revenues contributed by advertising. Perceptions were even more out of line with reality for online publications, where 75% of revenues come from ads. Also, 65% of the respondents said they think society would be harmed by the absence of free or relatively inexpensive news publications, including newspapers, magazines and online publishers. But in a classic case of having one’s cake and eating it too, 15% of consumers surveyed said they are already using an ad blocker -- and this group was actually 12% more likely to value free or low-cost news. Magazines Canada has released the detailed schedule for the Cultural Magazines Summit to be held October 16 at the Courtyard Toronto Downtown Hotel. It is the day after the wrapup of the FIPP World Congress and it's a full day of networking, learning and socializing for the Canadian cultural magazine community. The keynote address will be by writer and literary critic John Freeman, the executive editor of Lit Hub, former editor of Granta, former president of America's National Book Critics Circle. How to realistically monetize brands for small titles with limited budgets. Two panelists, including David Leonard, Director of Events and Special Projects, he Walrus will examine the value of various brand extensions and offer practical dos and don'ts. Rowland Lorimer, Publishing Program Director at Simon Fraser University and author of the Canada Council Benchmarks study, will show you how to use your own data to make informed decisions about the future of your magazine, based on what others are earning, spending and what's trending. Veteran arts manager Jennifer Green, Associate Director, Toronto Arts Foundation will show how to develop a long-term strategic plan that will help you set priorities, focus your resources and keep your magazine moving in the direction you want. I am saddened to announce the resignation of Michael White as senior editor of Vancouver. His last day will be October 23, which will allow us to produce the Nov. and December issues and the Eating and Drinking Guide without too much drama. During his 16 months...Michael has elevated Vancouver's food coverage and has stepped into the void of overseeing the magazine as we search for an editor-in-chief. He is here for another seven weeks, so you'll all have plenty of opportunities to say your goodbyes. Please join me in thanking Michael for his dedication to making Vancouver the authority on all things culinary and unmissable in our city. White had been managing editor of Glow magazine and before that FASHION when he left St. Joseph Media in Toronto to join Vancouver. Gierasimczuk says that the there are plans to launch a redesign of Vancouver with its March 2016 issue "in the same considered, keepable, high-quality large format that we just rolled out for its sister publication Western Living this month." The popular indie magazine Lucky Peach has been served with a cease and desist order for making fun of the Ruth's Chris steakhouse. According to a story in New York Eater, the steakhouse chain was apparently not amused by the parody whereby a one-night-only pop-up restaurant in New York's East Village was to be named Ruth Krishna's Tandoori Steakhouse. It was meant to be "an irreverent mashup of northern Indian standbys and steakhouse favourites". Pete Meehan of Lucky Peach explained why they chose to comply with the order. "I figure that it's better to spend money on lunch and comic books and paying bills than it is on lawyers when you don't need to." Among the other joke names the magazine had considered were: Luck E. Peach's Tandoori Steakhouse, Raj & Willensky's, House of Prime Indian Rib, Steak 'n' Saag, Goa-head Make My Steak, Priya Luger, Corporate Buzzkill Tandoori Steaks. A few of us were into the idea of taking a sponsored approach familiar to sports fans (Petco Park) or readers of overly long books of fiction (Year of the Trial Sized Dove Bar). Ruth has now become Randy, as in Randy Krishna's Tandoori Steakhouse. While MagNet cautions that some of the figures have had to be estimated, due to the closure of U.S.-based distributor Source Interlink last year and lack of results from the Barnes & Noble bookstore chain. Nevertheless, the trend is clear. Preliminary data for July and August suggests that sales in the second half of the year may be even worse than in the first half. For the full year, MagNet forecasts total newsstand sales of around $2.5 billion, around half of the figure for 2007. On that note MagNet pointed to certain self-reinforcing negative dynamics in the marketplace, most notably many retailers’ decision to cut back on the amount of space and prominence they allocate to newsstand displays. Peggy Berkowitz, the award-winning editor of University Affairs magazine, is retiring after more than 20 years, 14 of them as editor. She will be succeeded by her deputy editor Léo Charbonneau. Berkowitz joined the magazine in 1995 as associate editor after working for the Wall Street Journal and the Ottawa Citizen. As editor, she led it to be named magazine of the year in 2015 at the Kenneth R. Wilson Awards. Berkowitz was named editor of the year by the Professional Writers Association of Canada (PWAC) in 2013. Over a couple of decades I worked with Peggy and her colleagues as a consultant. It was always a pleasure.